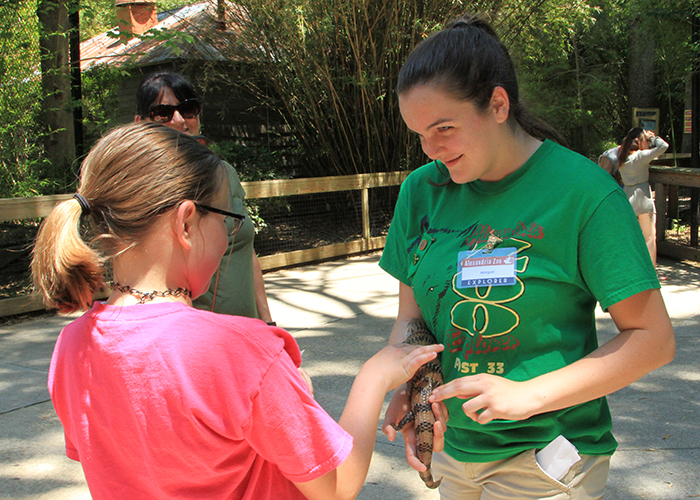 Not only will your service help the zoo and its programs, but volunteer work is a great addition to your resume! 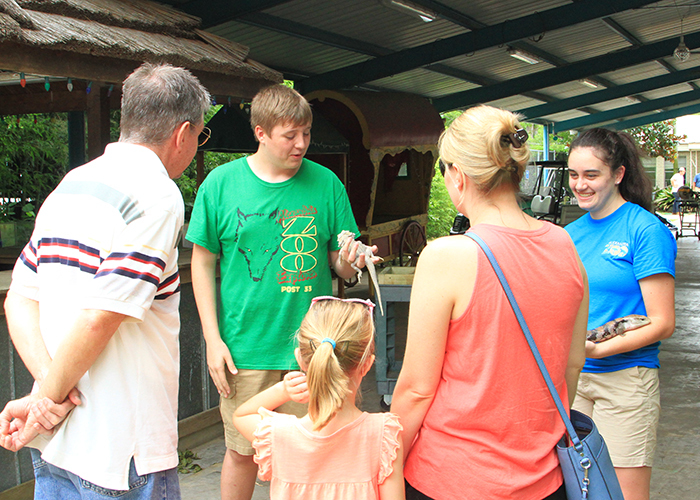 Explorers are teen volunteers that help the Zoo through a variety of duties that include zookeeper assistance, special events, grounds maintenance, construction and education programs. The Zoo Explorer Post is a coed program of Boy Scouts of America. It is sponsored by the City of Alexandria. 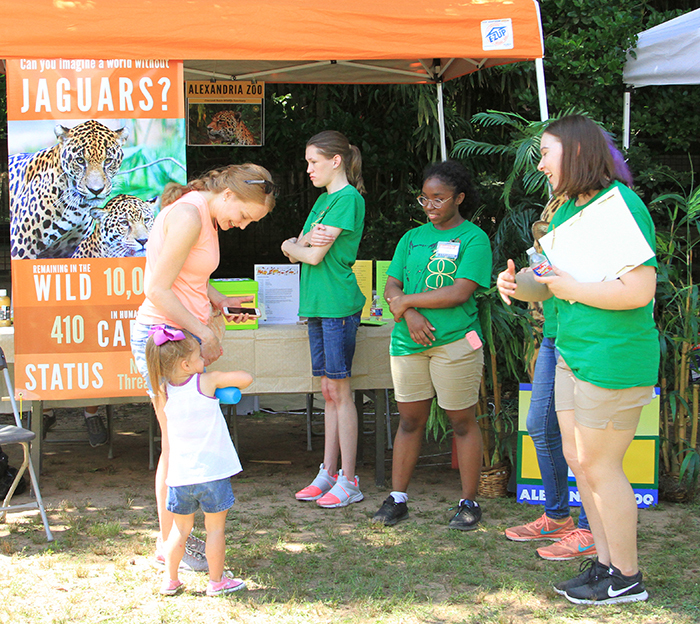 Interested in becoming a teen volunteer? Great! Applications will be accepted from March 1 - April 30. Training sessions for new volunteers will be held at the end of May. "Promoting understanding and conservation of the natural world in which we live"